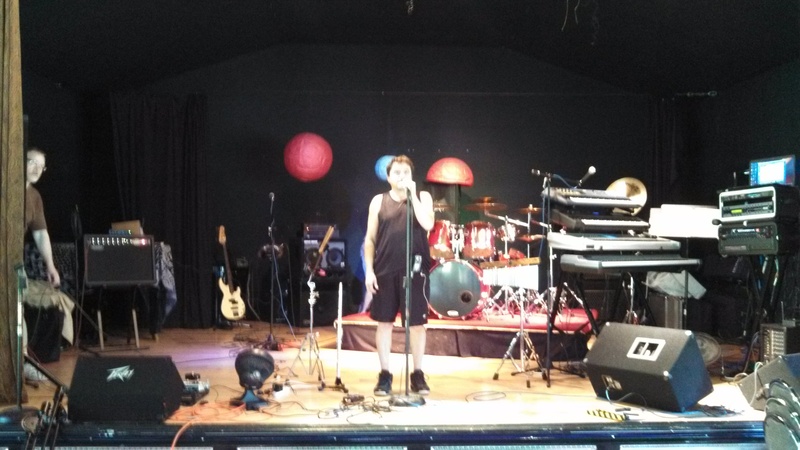 Downing Grey is pleased to announce our new rehearsal space! The Enigma Dance and Music Venue in Milan (Red Hook), New York. 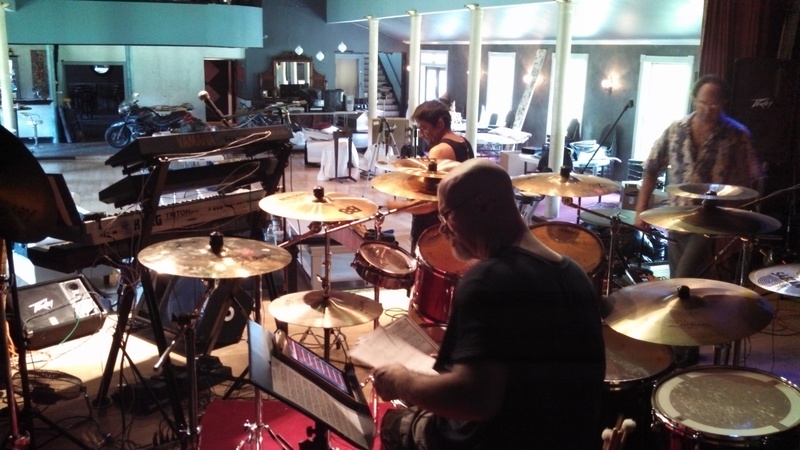 In preparation for the summer and fall tour, “iProg – Your Classic Prog Playlist on Shuffle“, Downing Grey continued the grueling rehearsal schedule, from 10 am to 6:30 pm on Monday, June 24th. 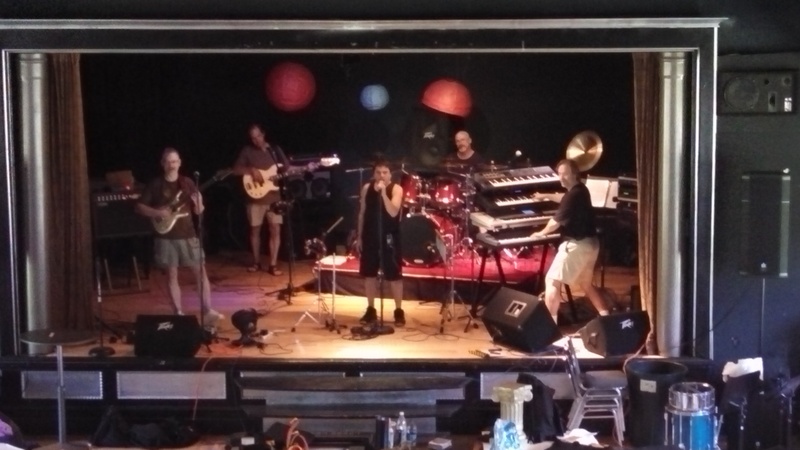 Bill peers out from behind the curtain, while Coz checks out the mic at center stage. 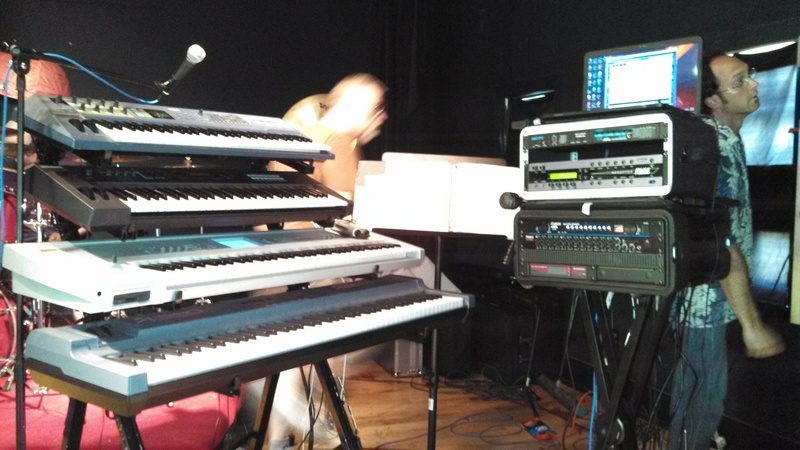 Bill runs behind Andrew’s keyboard rig, while engineer Paul Ilsley tries to figure out the backstage wiring setup. Darin looks thrilled that his drum set matches the new drum riser at Enigma. 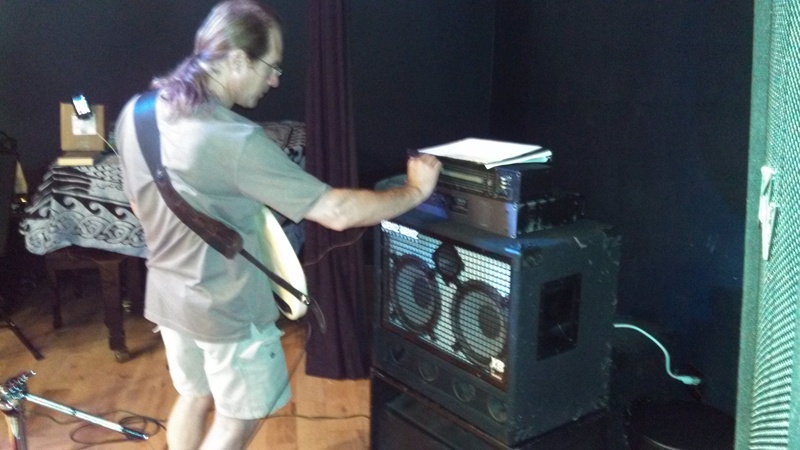 Dave adjusts his bass amp to get just the right volume and tone. Darin doesn’t have enough cymbals. 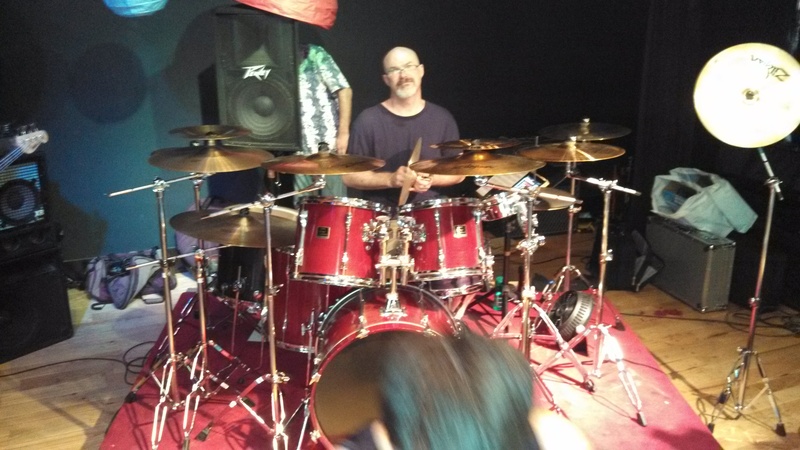 This entry was posted in Downing Grey Band Updates and tagged Andrew Colyer, Bill Shannon, Coz Orphanides, Darin Brannon, Dave Ostrowski, Downing Grey, Enigma Dance and Music Hall, Paul Ilsley, Progressive Rock, Progressive Rock Tribute Band by Admin1A. Bookmark the permalink.